Riverside BMX is a USABMX santioned BMX racing track located in the Eugene Mason Sports Complex in Cumberland, MD. We are a non-profit, volunteer operated race track, providing children and adults a venue for oarganised bicycle racing, training, development and family fun. In addition to the track itself, we maintain a fleet of loaner bikes and helmets to ensure that riders of all means may enjoy the sport. While most tracks have a loaner bike or two and a few helmets, Riverside BMX operates a fleet of 20+ bicycles and 25+ helmets. 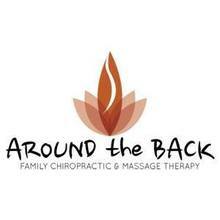 In order to maintain a safe envoronment and give back to the community we seek the sponsorship of local businesses. Your generosity will providethe equipment and materials needed to maintain the track, our loaner bike and helmet fleet, and providelicense fees for riders who are unable to afford them. At the close of the 2018 season we had 97 athletes registered with us ranging in ages from 3 to 50+ although mostly elementary and high school age. 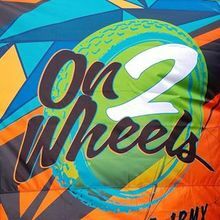 In addition to the athletic aspect of BMX racing, out athletes participate in the Race for Life benefiting Lymphoma and Leukemia research. Riders take donation envelopes and gather donations to raise funds for this worthwile cause. Riders forfeit medals in this race and race for a higher purpose. Additionally they participate in the Bob Warnike Scholarship race and proceeds from this race go to help fund the Bob Warnike Memorial Scholarship Fund which assists students and their families in meeting the costs of undergraduate college education, trade school, etc. We are also proud to announce that USA BMX has selected Riverside BMX to host a DK Gold Cup Regional Qualifier event for 2018. This triple point event will bring athletes from the Northeastern US as well as other athletes wishing to compete against some of the best in the nation. Our sponsors' logos will be seen by all in attendance as well as making this a great success for everyone. We offer the following sponsorship levels for 2019. No matter the level of your sponsorship, your contribution is appreciated and will help us provide lots of family fun for 2019. ____ I am not interested in the above levels, but would like to donate to Riverside BMX. 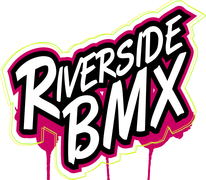 On behalf of everyone associated with Riverside BMX, we thank you for your support and generosity.